Soon-to-be-brides will know, that there is a particular story that they would really want told of the day they got married. Our focus is on capturing your dreams of future memories as vividly as possible. We provide a professional and high quality photography service primarily in and around the London UK area, as well as foreign locations on special requests. We are a team of several male and female photographers, covering a wide and respectable repertoire of cultural types of wedding photography. Our professional wedding services are contracted through our parent company, Optical Remix, whose members have over a decades' experience in advanced imaging and visualisation. Our rules of "engagement" state quite clearly, that the bride must be a happy bride on her happy day, and we want things to come naturally to the newlyweds. We endeavour to provide the highest quality professional service that we can offer, making suggestions and giving advice throughout, and we intend to listen carefully to your needs and ideas in planning the shoots together. 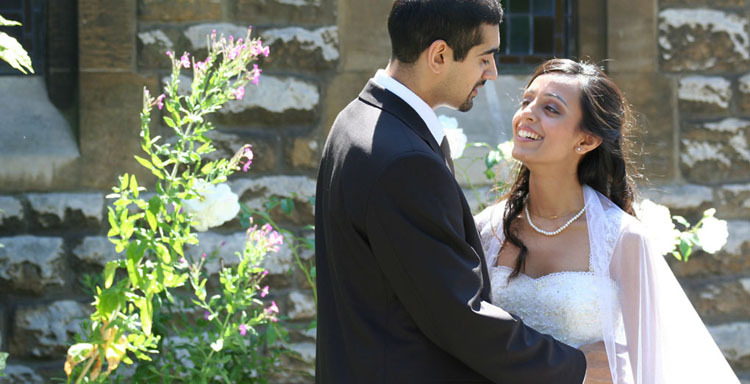 Wedding photography takes meticulous planning, well in advance of the special occasion. We know that there is a degree of spontaneity to be expected, and we will plan and adjust accordingly as the day unfolds. For the bride and the groom, the day will be hopefully be their most memorable fun! For any complex scenes in our planning, we often request that there be assistance from the brides' side in particular to pre-and-post nuptial photoshoots. Having an extra pair of familiar hands helps us to direct photography at a much higher quality - we want to see you having fun! We also take great care in detailing family group shots, thus we plan this through before the sessions begin and give everyone the right heads-up notice. Photography sessions involving special location backgrounds signficantly improve the photographic scenes. Keep a look out for unique locations that can be included on the special day's itenary, and we will also help with identifying beautiful location backdrops to your scenes. Please be sure to be fully authorised to use the location for photography before the big day!